I walk downstairs at eight in the morning, barefoot and yawning. The village is lacking any human activity, but the air was filled with sounds of screeching cockatoos, lorikeets, and a lone, laughing kookaburra. I awkwardly long board through campus car parks, my surfboard strapped over my shoulder, which blows me astray. I’m trying to catch the next bus. No one else wanted to take the two-hour trek to my favorite beach, Currumbin Alley, so I happily hit the trail alone. This would not have been an easy task just a few weeks before, when I was just learning the bus system in my new home city. I grew up as the youngest of four. I have been very fortunate to receive many hand-me-downs, including the most useful, a car. When I arrived in the Gold Coast of Australia, without any car, I had to learn how to use the public transportation system. I never thought that having a regular bus routine would give rise to a greater sense of myself. Every ride was unique amongst people, drivers, and company I kept. When I wasn’t with a group of friends, I was alone running errands, getting to the beach, or having a skate around the city. I cherished this time, looking out the window or at my fellow travelers, studying the different people and landscapes surrounding me, and learning about about the culture I was immersed in. I witnessed the geographic and urban features birth unique lifestyles unto the people. Through this process of outward discovery, I managed to unearth a greater sense of individuality and confidence within. I noticed that some of my abroad-mates never really ventured alone. I’m positive if they stepped outside their group comfort zone that they could have gained some needed outer social experiences. I learned so much about the Australian culture simply through repetitively passing through the city I began to call home. 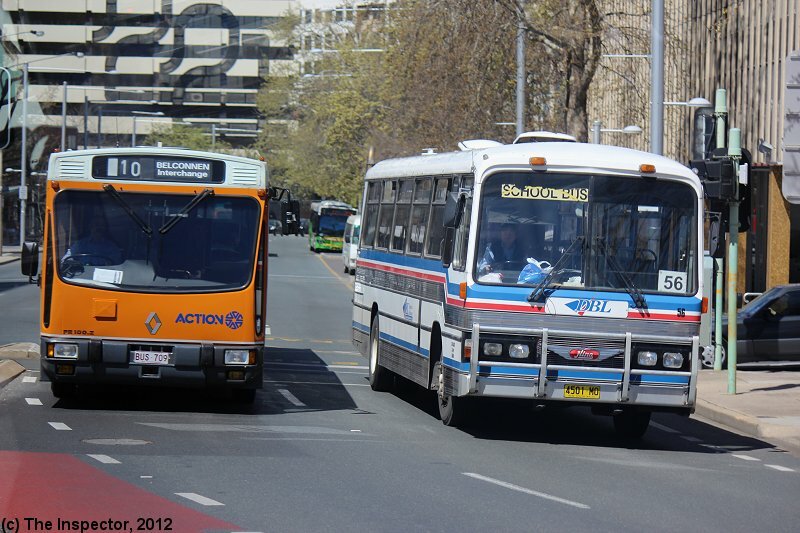 One day on my way home from Currumbin Alley, the bus was so close to where I would have to get off and make a connection. I wasn’t anticipating any delay. A few aboriginal teens marched on to the bus loudly proclaiming “thank yous” as they passed the “tap-on tap-off” pay station without paying. The bus driver, perplexed and angry, tried to tell them that no one is allowed to ride the bus for free. They rudely got up and started calling him a “white dog” amongst other racial slurs and hit the bus as it drove away. I had been learning about the uneasy relations between indigenous people in society. This made me sad because I don’t have a negative view of indigenous people, but I do see abrogating ways that some people take the idea of racism and act on it. I think back to that event and worry that there might have been people just visiting Australia as I was, who may lack an open mind to these complex social systems and become pessimistic. I can look back at those kids and think, “Oh they’re just teenagers. I hope they realize that the bus driver was not a true threat.” Their actions don’t make me hate or think negatively of indigenous people as a whole; however, to someone else, it may reinforce stereotypes and create an adverse image, furthering homegrown tensions. There were other random events, and conversations like this that I witnessed, but none as thought provoking as this one. I was happy to be taking a sociology course that semester so that I could have a better appreciation of understanding social complexities of human life. With the ability to understand social interactions between people, I gained confidence communicating with people. There was a time in my life where I refused to speak with people on the phone or order my own meal at restaurants. Now I can manage to take on in depth conversations with complete strangers before noticing that I don’t even know their name. I absolutely love it. Talking to people with a completely an unbiased feeling is where I find humor and faith in humanity. I’ve noticed that people appreciate eye contact and a smile even if you’re just passing by. It’s a mental attitude, a rare natural occurrence, but something that can be cultivated. With more societal interactions, I’ve learned that the fraction of positive attention you give someone does not go unnoticed. Through simple bus ride observations, I noticed a major difference in societal interactions. Throughout history, New England society has kept necks curved down and eyes fixed on the ground. It has become polite etiquette not to stare or make eye contact. I found new confidence and a greater connection to the world around me when I looked up. This act of simply making eye contact on the bus is one of the many variables which gave rise to my newly unearthed personality. Now that I am back in New England I continue to look up and I feel like I’m seeing more than I even knew existed around me. It confuses some people when I smile at them, but there are some who smile back. I’m not sure if its something that can be put on a resume, but confidence, independence, and open-mindedness are characteristics I find to be keys to happiness, no matter where you are in the world. I got on the bus and found comfort in solitude, but now I see I was never alone, I was with all seven billion people that live on this planet. 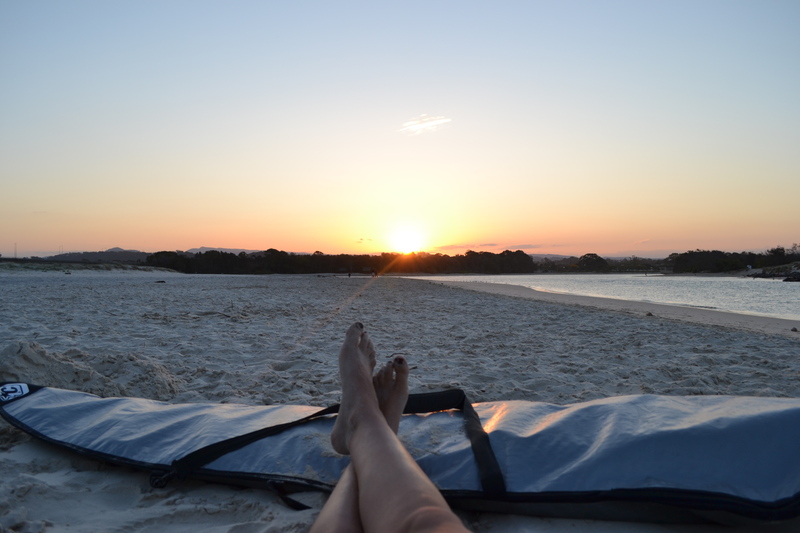 I watched an amazing sunset with my feet propped up on my surfboard and my towel as a blanket. That night on the bus home I was tired, beat up from surfing, cold and sandy, but I was happy. Sifting through my memories of traveling, and different societal experiences, I found my ultimate gain of confidence and individuality while clutching my few belongings and surrounded by strangers.